An alternative to the traditional throwing confetti without the mess. 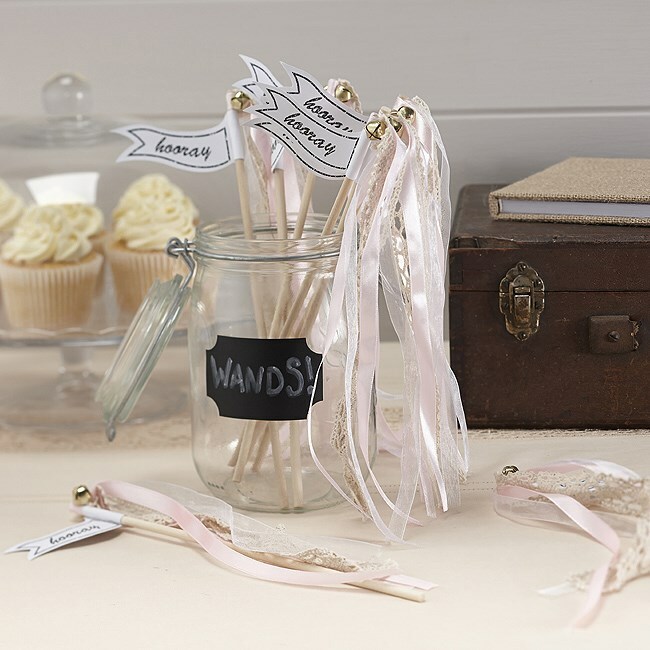 Our Light Pink Wedding Wands look great on the wedding photo's. Why not leave them outside the church for people to collect as they go in. 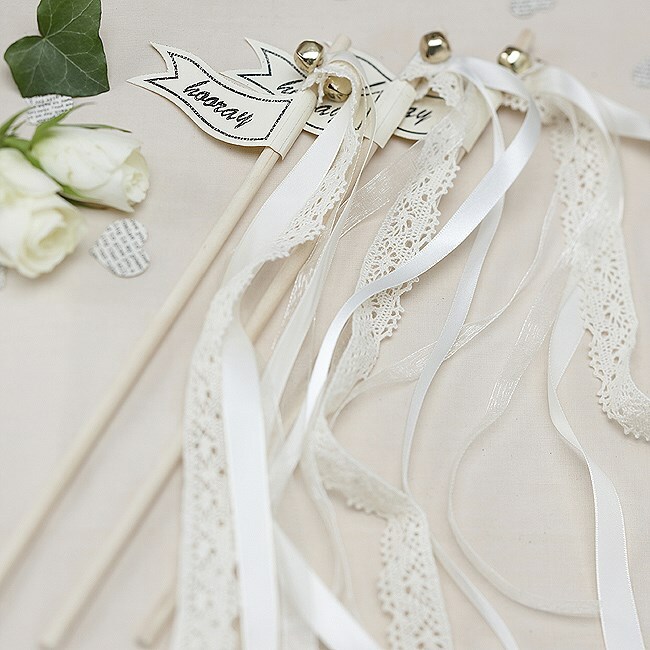 .Each wand is around 30cm in length with a printed flag saying ‘hooray’ on textured white card.